The NCH Healthcare System is a not-for-profit, multi-facility healthcare system located in Naples, Florida, United States. 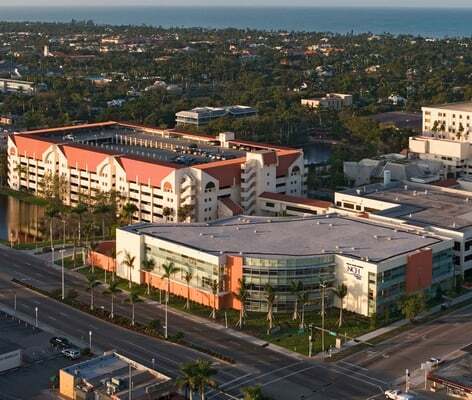 The System is more than just two hospitals (referred to as the NCH Downtown Naples Hospital, and NCH North Naples Hospital) with a total of 715 beds. The NCH Healthcare System is an alliance of 636 physicians and medical facilities in dozens of locations throughout Collier County and southwest Florida. The services offered by the NCH Healthcare System are extensive. Inpatient services include: medical, surgical, cardiac, orthopedic, obstetric, pediatric, rehabilitative, psychiatric, oncology, emergency treatment, and diagnostics. Outpatient services include: rehabilitation, home care, walk-in centers, wound healing, and more. This year the system had 37,000 admissions, 94,000 emergency room visits, 2,900 births, 395 open heart surgeries, 11,284 surgical procedures, and 3,900 employee colleagues. NCH is a member of the Mayo Clinic Care Network.